1 Assemble a professional team that has the right level of expertise and experience for your project and budget. 2 Develop a clear scope of works for the project and set the budget, remembering to account for professional fees and VAT. 3 Be realistic with project schedules and allow enough time for both the design and construction. You may be keen to minimise the project duration, but pushing this too hard may compromise the quality. 4 Agree a schedule of dates for client-supplied items and adhere to them. Missing deadlines may impact the project programme and therefore the cost. 5 Be aware of what the potential risks are and apportion contingency values to these to help you manage any surprises along the way. Managing a building project is often a leap into the unknown. Be well-prepared and you should be able to keep a good handle on it from start to finish. 1. 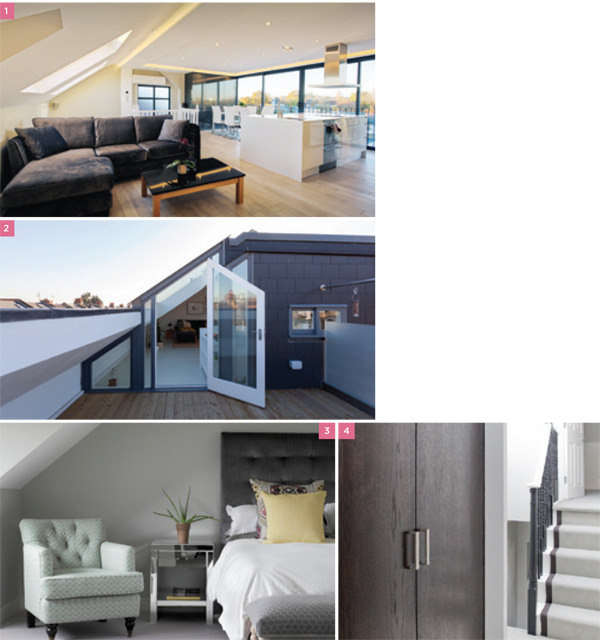 Stunning loft conversion built by Landmark Lofts, with chic living space, open-plan kitchen, expansive glass doors, and four Velux windows to bathe the room with light. 2. Incorporate a roof terrace if you can to maximise London’s incredible city views – Dermarta Construction. 3. A colour palette of cool greys and lemons creates a calming bedroom space – Trinity ID. 4. 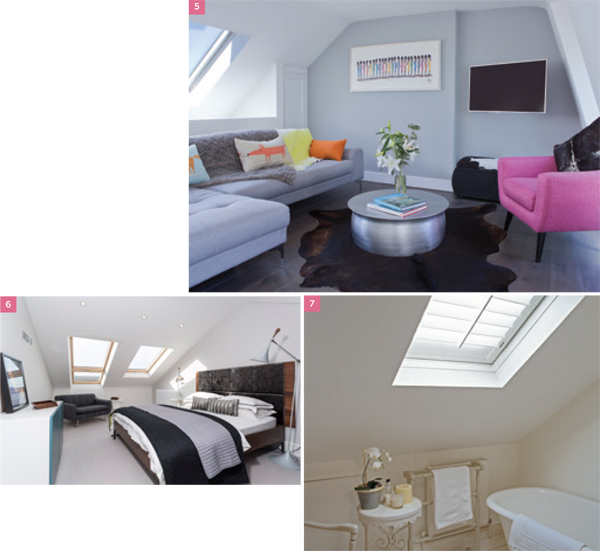 Use neglected landing space for useful storage in your loft conversion – Run Projects. 5. Stylish sitting room in the eaves by Run Projects. 6. Style doesn’t have to be left behind in the first floor bedrooms; loft bedroom from Simply Construction. 7. Painted shutters give a feeling of space to this loft room – New England Shutter Company. 1. Re-grout wall and floor tiles & re-silicone bath and basin Mouldy silicone is a real eyesore so if a deep clean hasn’t done the trick, renewing it will make a big difference. Get a professional in so the silicone beads are the same width as the grout lines. 2. Re-enamel the bath Many London properties still have the original cast iron baths, but nobody wants to see a battered one, so re-enamelling will make it shine! 3. Re-paint If your bath, basin and loo are all looking a bit tired, then painting the walls, ceiling and woodwork in an ‘on trend’ colour will work wonders. 4. Add a stylish mirror This will draw focus and create an illusion of light and space in any bathroom, big or small. 5. Replace an old extractor fan Some fans make a real racket. A new silent one will cost you £50 and take an electrician under an hour to fit. 6. Replace door handles Very easy to do depending on what furniture you have in the bathroom and, along with a coat of paint, can make all the difference.